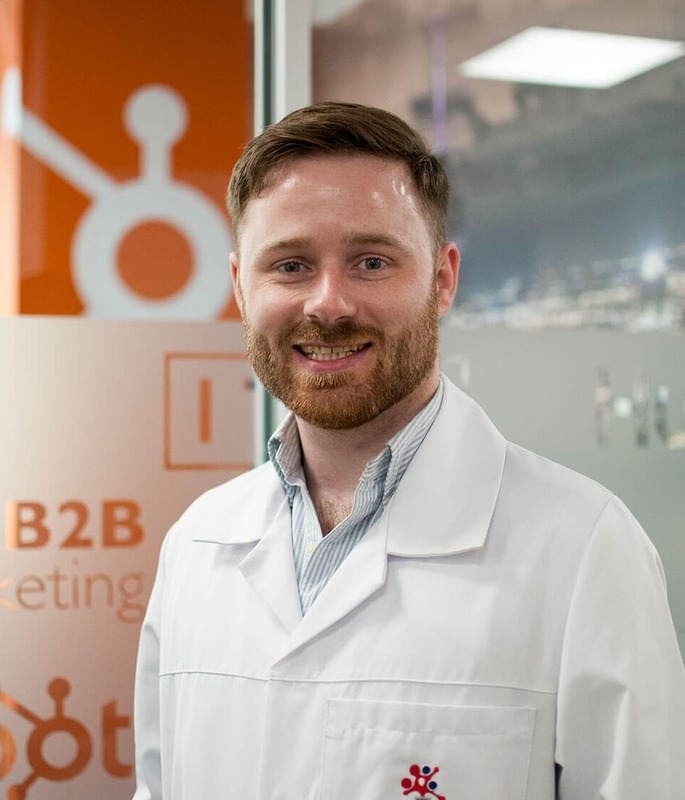 In this blog, Rowley Cubitt, Head of New Business at The B2B Marketing Lab, explains what signing up to the HubSpot Growth Suite actually means – as well as the business benefits of doing so. From content creation and website management, to lead nurturing and revenue reporting, in 2019 there’s no lack of sophisticated marketing, sales and customer service tools. Most of these tools have been created out of the need to manage increasingly complex activities and meet customer expectations. As a result, marketers are, on average, using anywhere between 12 and 31 tools. In the short term it works, but as businesses scale and add new tools, managing such a large stack becomes unsustainable and inefficient. The use of tools throughout the marketing, sales and customer service cycle will not change – in fact, it will only become more important as the buying process changes. But, instead of using tools in isolation, businesses need to look at all-in-one solutions that consolidate key marketing, sales and customer service tools. And this is exactly where HubSpot's Growth Suite can help. HubSpot's Growth Suite is comprised of marketing, sales and customer service tools, it includes everything businesses need to increase awareness, convert visitors into leads, sign new customers, and keep those customers happy over a long period of time. 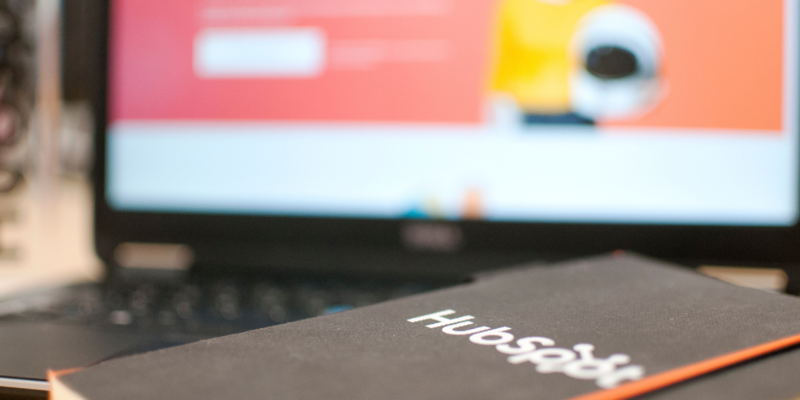 But what does it mean to sign up to the HubSpot Growth Suite? HubSpot’s Growth Suite is an enterprise-grade solution that brings together the HubSpot Marketing, Sales and Service Hub packages. As these packages work together and communicate with each other, understanding the entire customer journey – from initial website visit to purchase – is relatively easy. All of the tools can be accessed from a single portal, so you only log in once, and are simple to configure and manage. It also makes reporting easy as information is transferred between tools in real time, making it the perfect solution for C-level executives and directors that struggle with reporting clear return on investment (ROI) due to disconnected technologies. 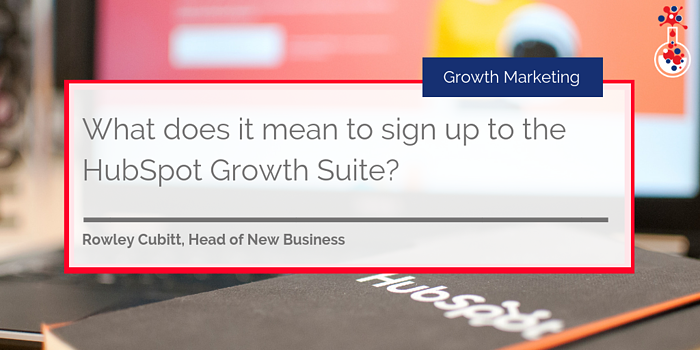 Using the HubSpot Growth Suite, you no longer need to jump between tools and platforms to work out what’s going on in regards to your activities! When it comes to traditional marketing, sales and customer service tools, once a business grows to a point where those tools are no longer useful, they are thrown out and replaced. Not only does this approach cost businesses a tremendous amount of money (especially when you consider how much time it takes to set infrastructure up) it’s also time-consuming. For growing businesses, HubSpot’s Growth Suite is the answer. The suite is designed to be a scalable solution, so you can have as much or as little functionality as you like and each package can work independently – so removing one package won’t hinder another. For example, if you want to start off with just the HubSpot customer relationship management (CRM) tool and introduce the content management system (CMS) later on, that’s entirely possible. Likewise, if you want to remove parts of it that won’t stop another package from working (though it will influence what capabilities you have). There’s also HubSpot’s growing integrations library – so if there’s a specific tool you use and are quite fond of, chances are it can be integrated with HubSpot! Given that the HubSpot platform was designed for the express purpose of supporting businesses with Inbound Marketing, it’s fair to say that it’s the best solution on the market for it. According to G2 Crowd, a leading independent review platform, HubSpot is the market leader for marketing automation software, the highest performer and the best solution available. HubSpot’s appreciation of how people engage with businesses has enabled its team to build a solution that actually addresses every stage of the buying process and makes it easy for businesses to attract visitors, convert them into leads and close customers. Signing up to the HubSpot Growth Suite will give you access to a series of enterprise-grade tools that can improve your marketing, sales and customer service activities significantly. As your business grows, HubSpot will grow with it. No longer will you need to retire tools and acquire new ones – just build HubSpot into your business plans and expand it as and when you need to. It’s that simple. If you’re in the process of onboarding HubSpot and need help, why not check out our free eBook below and make sure your implementation goes as smoothly as possible?